This is something I found some weeks ago but forget to post it earlier! Mascaratum, where are they sold? Maybe I am not searching correctly, but I can't it on AliExpress, BangGood, GearBest, or Amazon. Thanks. Mascaratum, where are they sold? Maybe I am not searching correctly, but I can’t it on AliExpress, BangGood, GearBest, or Amazon. Thanks. Honestly, I don’t know either! I saw the video and remembered to post it here, but I never saw it as well! Maybe it was a sample model and it can be still in production ! On LT site, have you seen there? The only place I see it for sale is Amazon Japan. It looks a lot like the worm… just a bit shorter. the light includes the glow in the dark silicone cap that acts as a diffuser to use the light to blind myself from the sidelight it throws.. I hate that.. Its the same diffuser that Maratac has been shipping in their AAA model for a couple of years. I agree the body looks like the Worm, but without the weird extra long slotted tail, that I dislike anyway. The modes are the same as the Worm and Tool. What problem did it solve for you? With the color versions you can choose a (warm white) Nichia. That’s the version I ordered, in purple. I just wish these had the integrated clip like the Worm 4.0. It might not be for everyone, but I really liked that design. I do like the EDC01 being shorter and having a pebbled TIR though. And I still don’t understand M>L>H model order, seems like a strange decision. I do like the EDC01 being shorter and having a pebbled TIR though. And I still don’t understand M>L>H model order, seems like a strange decision. I’m hoping this will be lightweight enough for my lanyard at work where M is likely the mode I would use most often (looking for things), followed by L for reading small print. H only when I go to our dark storage unit, which is infrequent. Great sequence for me! I also like LMH for little lights, for different applications. Yeah, it does depend on the application. I typically carry a AAA light clipped to my PJs (athletic shorts) at night for stumbling around and checking on the status kids. For that purpose, I always want a clip and always want low. But there certainly are other uses for a AAA. 3) To avoid potential accidental activation, you also can loosen the tail cap to cut off the circuit. Which is hard considering it doesn't have a tailcap...and the circuit is already interrupted on a twisty light once you've losened the head . I guess this explains why they still make a UI with med/low /high mode sequence . 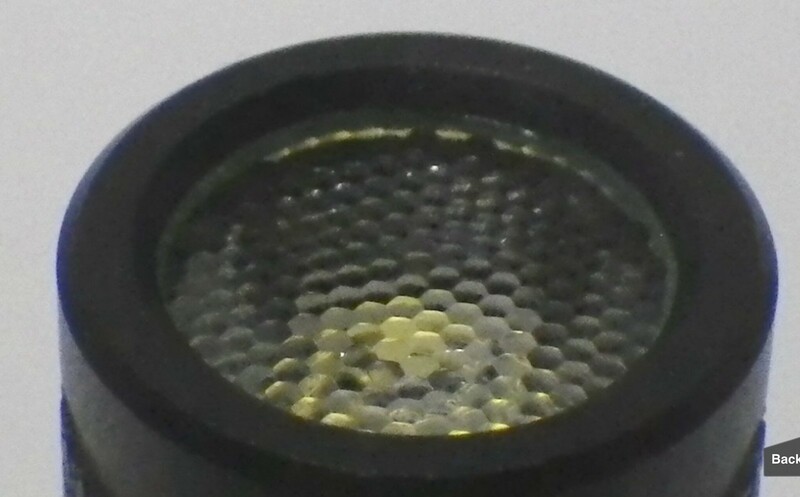 I’m curious, does the one from AliExpress come with the glow-in-the-dark diffuser cap? Tell me about it. I got an AAA Tool which looks to be a beautiful solid light, but start-on-medium condemns it to be a box-queen. start-on-medium condemns it to be a box-queen. Thanx, but nah. I rarely use AAA lights, yet have a bunch of Glarees, a few Zanflares, even a non-NMM A01(!). Whennahell I’ll ever use ‘em all, who knows. 1-2 twisties for zipper-pulls is about it. 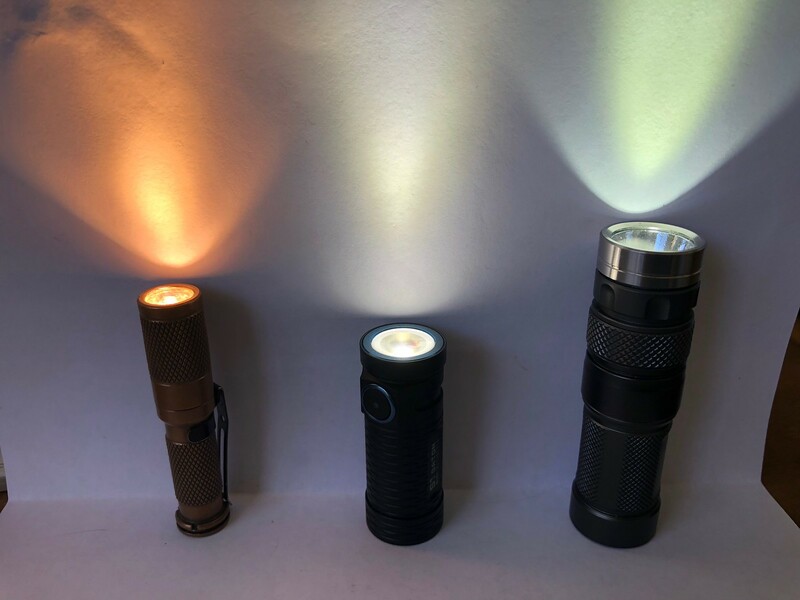 In regards to the MLH mode distribution, from personal experience it’s a torch you’ll pull out for general utility, as the first light accessible with no finagling necessary. My Tool taught me to use it like it’s a big girl. Meanwhile, LMH is very useful for a pajama light or as a backup, like my old Thrunite Ti3 (though I use the Tool as a pajama torch, so yeah). Speaking of, as far as AAA twisties go I’ll stay with my Ti3 and await a groundbreaking upgrade in the category. Now I much prefer MLH for EDC, and the Lumintop Tool (not the LMH Massdrop version) and MLH Maratac are favorites. Ive also come to appreciate the Oligh UI, with memory. I can set 0.5 lumens for nightstand use, and then set other brighter modes for EDC during the day, and evening. If only they were Nichia compatible..
Yep, I EDC the Tool too and found that Mid right off the bat makes it a quick and easy pick for ED tasks instead of always twisting twice like the Ti3, which I always treated as a backup if my main light ever went dead (wanna extend runtime as much as physically possible if that happens). My ideal torch would be a LMH Tool with mode memory like the AA Tool 2.0 promises to be; if it has no memory, Mid from the get-go is great. Hmm.. The short head suggests it’s built like the Olight i3E. LED on the driver PCB, no pill. So it should be cheap, right?